Myeongdong is one of the biggest shopping and food districts in Seoul, Korea. It is a tourist destination that should not be missed on any itinerary. Check out OH!Press’ Myeongdong guide. Myeongdong is make-up central as all the big Korean brands are located in this shopping hub. Every corner has a Nature Republic, Tony Moly, Innis Free, Etude House and more. For make-up, Tony Moly is the way to go. Innis Free is quite well-known for their skincare products. Another bonus is the free masks that are given to customers as soon as they step inside the door. There are also freebies when you spend a certain quota and the merchandise usually features 2PM, EXO, SHINee, Lee Min Ho or whoever models for each shop. Myeongdong has the best of both worlds. 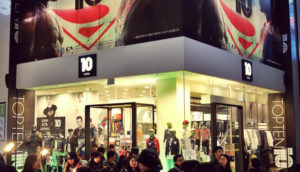 There are not only the usual department stores such as Lotte, Shinsegae, ZARA, UNIQLO, Giordano, H&M and local store Top Ten. But there is a host of small boutiques full of Korean-designed budget buys comapred to department stores. Looking for discography or merchandise with your bias’ face on it? You can find these everywhere in Myeongdong. 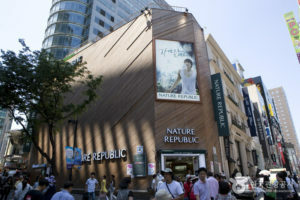 There are three main CD shops, which include one on the corner of a 7Eleven and near Olive Young cosmetics, another in the subway underground mall and Music Korea on the third floor of the biggest Nature Republic building. Music Korea is the biggest CD shop in the district and sells most releases. Plus, each album purchased comes with a matching poster or photo cards for free. For merchandise, the underground mall is the place to go or alternatively, there are several carts where ahjummas sell K-pop socks. Also, in Lotte, there is a SM pop-up store that sells official merchandise, CD’s and clothing. It is almost impossible to go starving. So many choices, so little time to taste them all. The most famous restaurant in Myeongdong is Myeongdong Kyoja, a place that specialises in dumpling soup. 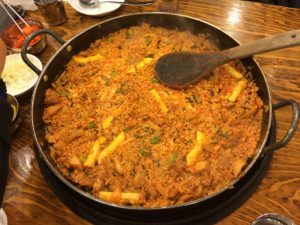 Another tasty (yet smelly) joint is Yoogane Myeongdong 1st Store, which specialises in barbequed chicken and fried rice. Miss Lee Café is famous for its celebrity appearances, which includes the Yongseo (Yonghwa and Seohyun) couple. They serve up cute yet delicious lunchbox rice dishes and nice matcha lattes. 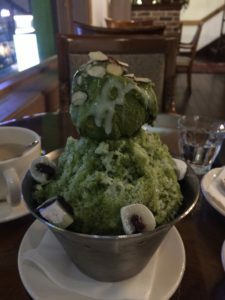 Dessert options are everywhere but it is hard not to cross Café Coin’s bingsoo, Happy Lemon’s bubble tea, Hello Kitty Café and Paris Baguette. Boy, the street food in Myeongdong is to die for. From tteokbokki, kimchi pancake and crispy squid skewers to chocolate strawberries and hotteok, the list is never ending. As the day goes on, the more street vendors and carts start opening. One tip would be to sweep the street during afternoon tea, grab a moderate dinner and come back for another clean feast for dessert. It is hard to get bored in this lively hub. Sing your heart out at karaoke bars, ease the soreness with a massage or relax in a sauna. There is also a double-decker bus that goes around Myeongdong and the outer skirts of the suburb. Alternatively, check out the tourist information centre for sightseeing tours. Don’t speak the language? No worries. Shops, restaurants and hotels in Myeongdong have specialised staff that can speak Korean, Japanese, Mandarin Chinese and English. 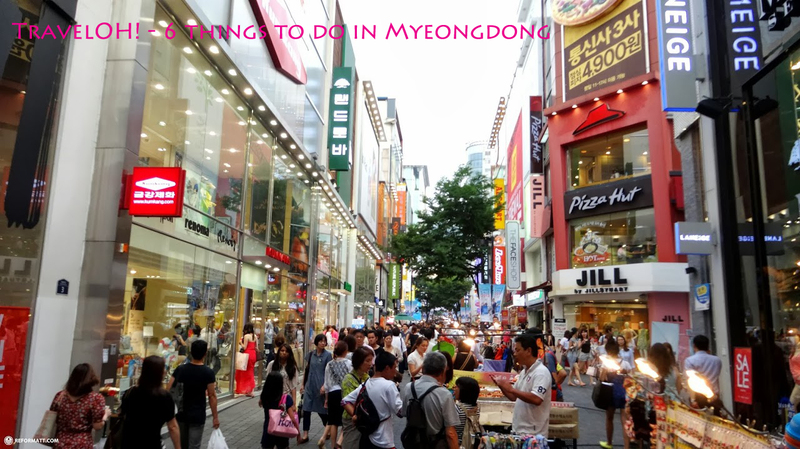 With all the foreign tourists that frequent to and from, Myeongdong is basically Korea’s China Town so if you know any Chinese, it would be easy to communicate. They all understand English and there should be at least one member who can speak basic English.